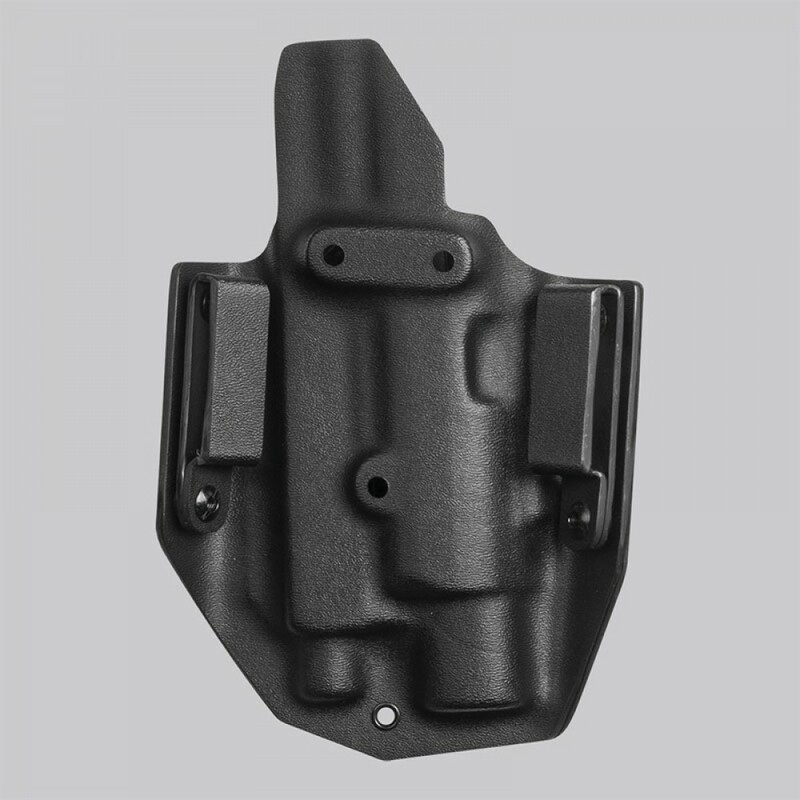 This durable pancake style holster for Glock 17 is designed as a fail proof, emergency draw tool for CQB situations. Made to fit a suppressor ready pistol with the most popular lights on the market and red dot mounted to the slide. The adjustment screw allows for fit adjustment between different light models and adjusting the level of retention to user’s preference. 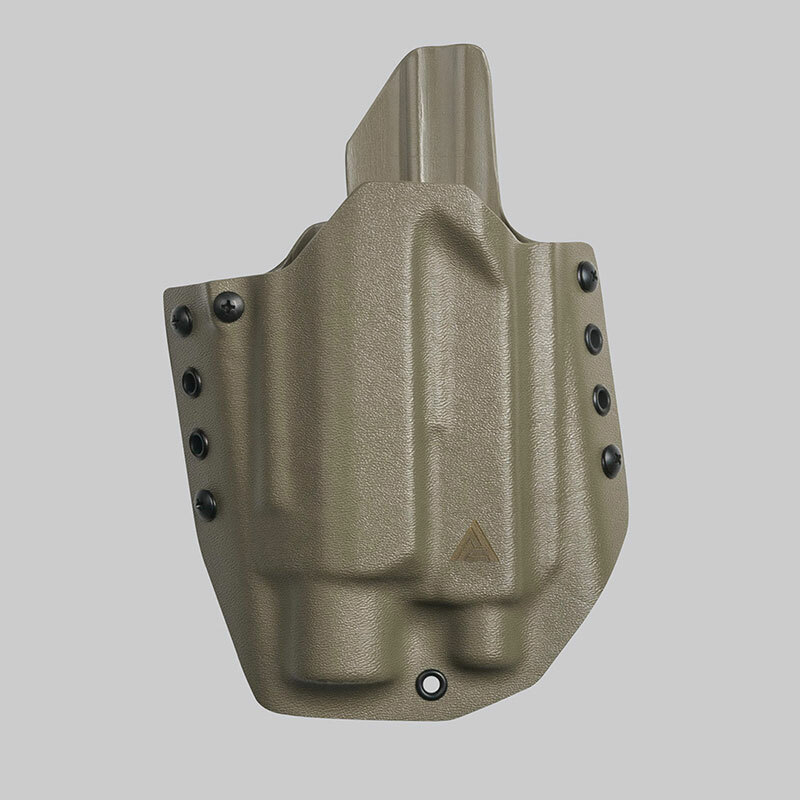 Integrated into the design are 3 holes allowing for use of Safariland® accessories – such as QLS system or mounting on the 6004 holster drop leg panel. Attention: Our holsters are made to fit actual firearms, we do not guarantee that the airsoft replicas will fit into them. 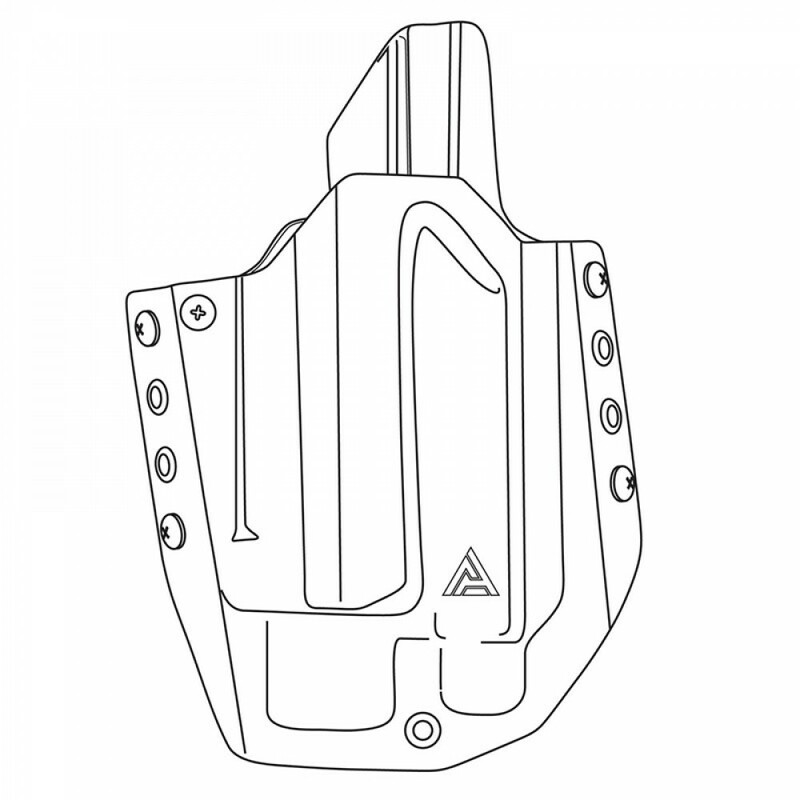 DA kydex holsters are machine pressed and hand-fitted, therefore some further user adjusting may be required for preferred retetion. Light wear of kydex plastic on the inside of the holster might occur where it comes in contact with sharp edges of the gun slide (front sights, ejection port, slide serrations), and is normal with this type of material.